Congratulations! You’ve successfully graduated from college to become a job seeker. You shall now realize the major difference between being a student in class and a trainee in an MNC. The whole first job experience is an extraordinary vibe that will stay with you forever. The anxiety, pressure, enthusiasm, zeal, curiosity and a million other emotions will take over when you start with the first job of your life. 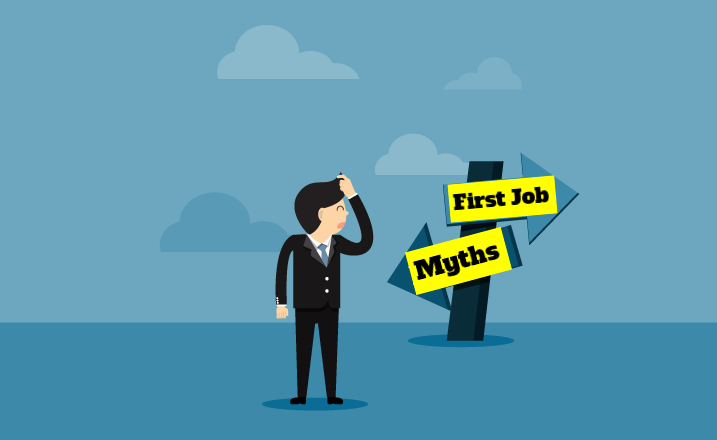 As hyped as it may sound, there are innumerable job myths that will try to ruin your first job experience. Take all of it with a pinch of salt and but don’t fall prey to these myths. Undoubtedly, your first job is important but it isn’t entirely going to determine the course of your professional career. The transition from a student to a corporate worker can be huge which is why we give such importance to the first job and not for any other reason. 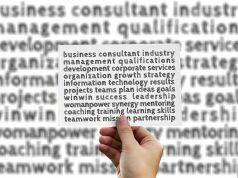 You may start out with a Fortune 500 company but 15 years down the line you may find yourself as a corporate coach mentoring trainees and new joiners. So, whether your first job experience is exactly what you wanted or not, there is still immense hope for you in the future. The chances are great that if you begin with sales, you will probably end up in retail by the time you retire. But remember, there are exceptions. Always! So, just be determined to find success, learning, and positivity in your job role. College is behind you but why should fun take a back seat? After all, you haven’t changed as a person but now you have some extra cash. The weekdays in the initial phase of your first job can be busy but once you get the drill, you’ll be able to make time for fun and work, both. Sure you will miss your friends from college but you will have a set of colleagues to join for fun times. The job myth states that you will NOT HAVE FUN in your first job which is total trash which should be ignored. Absolutely not! Your first job experience will pretty much swing between ‘blah’ and ‘meh’. You might feel aggression and compassion sometimes but no harsh feelings will bother you forever. You might love your desk and coffee machine but some nosey colleagues will get on your nerves. There is good, bad and, ugly to every job in the world including yours too. The job experience will teach you to be responsible, accommodating and professionally ready. The learning and experience will springboard into your future so be thankful for your gains you have while you’re in your first job. You’ll be paid A LOT! You may have spent a bomb on educating and training yourself but that alone doesn’t guarantee a 6-figure salary. The foreign internship certificate or London summer school grades also cannot amp up your first job salary; simply because this is real life. If somehow you get paid a little more than average salary for a fresher in your country, please be immensely grateful. Unless you graduated from Ivy colleges or scored highest at country level, don’t expect much. There isn’t a sure shot method to earning well in your first job. Also, learning and gaining as much hands-on experience as possible must be a priority in your first job. Some of your mates may be promoted within months of being employed but most won’t. Your first job won’t be about corporate meetings, signing documents and take big decisions. Accept that entry-level jobs mean menial work which you will absolutely hate. Find a mentor, take up projects voluntarily, put up a smiling face, and stay motivated and cheerful because good things will eventually happen. Get to work early and put in your soul in making things work at your first job. 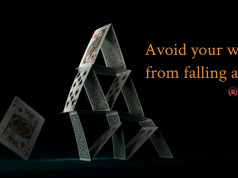 Most importantly don’t let job myths de-motivate or discourage you. Evaluate the reasons why took this job in the first place and work towards your ultimate goal while staying in your first job. The first few years after college can be a bit turbulent but hold on tight because this is what success looks like in the beginning. Find your first big break with AMCAT. Thousands of job postings are published on the amcat website each day by legitimate corporate houses looking for you.